So I’ve been very blocked creatively by the clutter in my house. I started this process a little over a week ago and its finally almost finished. I started minimizing and reorganizing my whole house. Starting with my bedroom where my piles and piles of clothes, both dirty and clean, were overwhelming the space. I finally sorted and organized and washed all the clothes and put them all away. This made me realize just HOW MUCH clothes I have and how unnecessary that amount is. So that then lead to me donating about two garbage bags worth of clothes to goodwill. I also threw out some stuff that was just taking up room in my room. 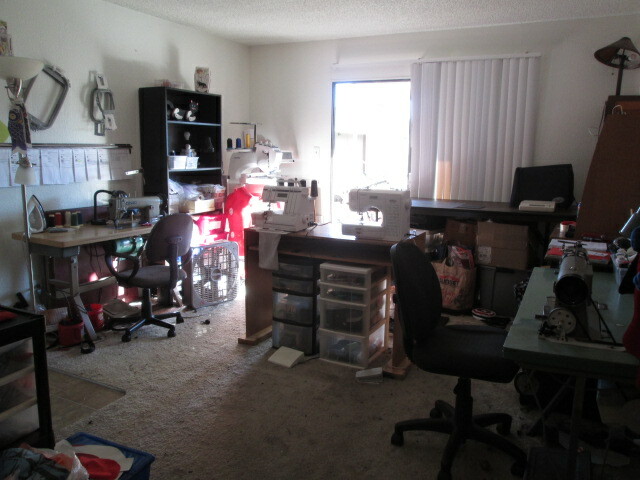 My next step was the living room/office/shop. I live in a small one bedroom and it’s also where I work currently, that will change soon but for now this is my shop. I moved my couch and my TV into my bedroom with my bed and turned my living room into my sewing shop and my kitchen into my office space with my computer and files. My living room felt like a huge storage unit with no room to work so I though really hard about what about it made it hard to work and what I could change to make it more functional. I figured out that if I rearranged my machine and prep stations it would be more functional. I am very happy with the result. 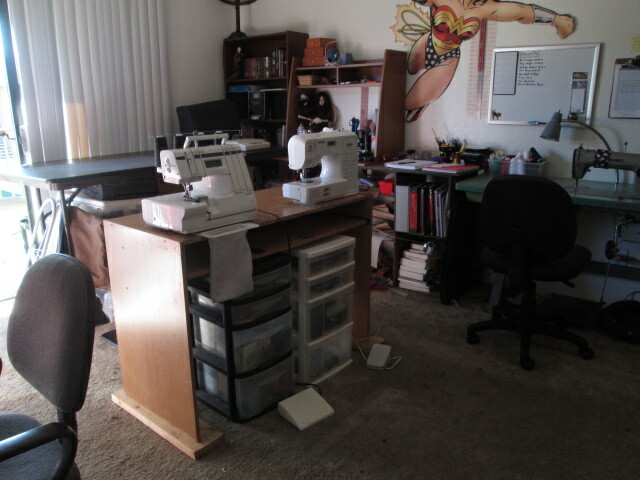 There a few more parts of the house I need to reorganized but slow and stead wins the race. I’d get overwhelmed doing it all at once. Next the kitchen and the bathroom. I was trying to find a way to organize my embroidery stablizer and noticed that all the cardboard tubes are the same size. 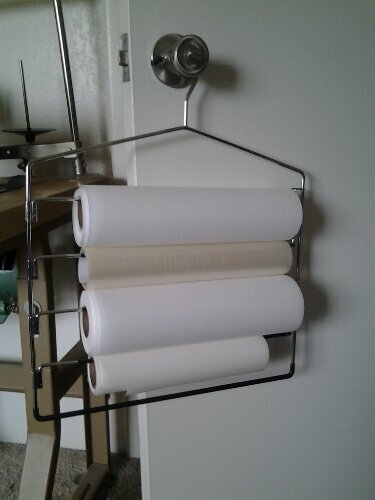 At first i thought maybe they would fit in paper towel holders and i could just hang a few on the wall. However i have limited wall space so that wouldnt be practical. Then it hit me, in my closet was a pants hanger holding all the pants that dont fit me. Viola! Stabilizer organizer! Now just to figure out where to put it.